The Yamaha PSR F51 Portable Keyboard lets you take your music on the go. The 61 key design is ideal for student musicians who don't require a full board, but want enough to develop their skills. The function panel is easy to use and offers access to 120 voices for fun, interactive learning. The duo mode allows two people to play the same scale simultaneously, whilst the click metronome assists with developing your timing. The PSR F51 has a slot for 6 AA batteries, allowing you to use it whilst on the move. 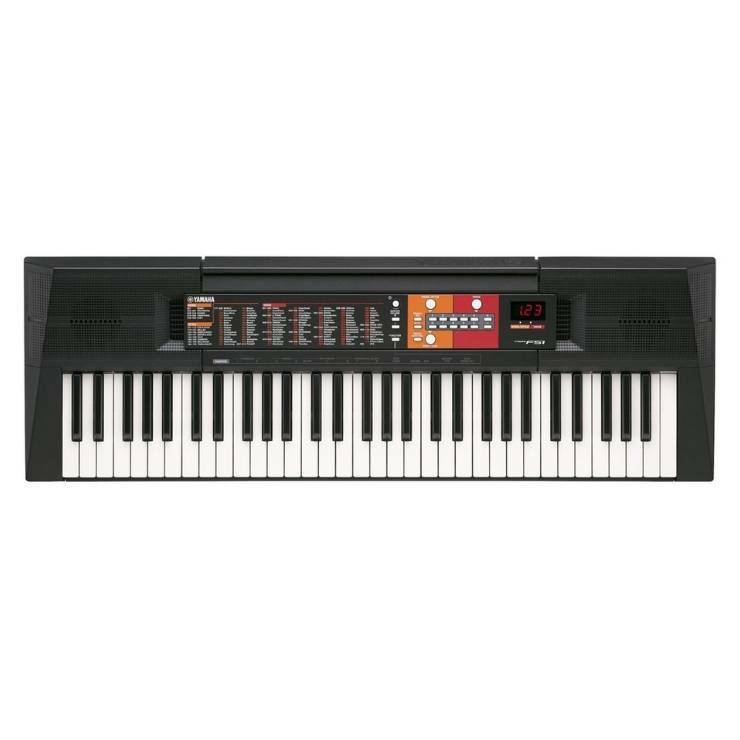 This keyboard is ideal for student musicians requiring an entertaining platform to develop their piano skills.